"It is with great pleasure that I recommend Cole and Cole Architects, Inc. in Montgomery, Alabama. 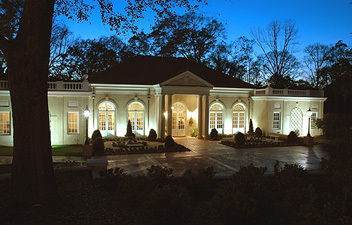 In 2003, Fuller E. Callaway Foundation engaged Cole and Cole to design a Visitor Center for Hills & Dales Estate, the historic Fuller E. Callaway family home in LaGrange, Georgia. The 1916 family home was designed by the noted architectural firm of Hentz & Reid and it was critical to select a firm with a solid background in classical architecture for the design of the Visitor Center. After reviewing many portfolios and interviewing five different companies, we selected Cole and Cole Architects to design and oversee our multi-million dollar project. Les Cole, took the lead and created a design that was inspired by the Neel Reid architecture at the estate. His architectural solutions were aesthetically pleasing, beautifully scaled and functional. In the process, Les also worked well with our interior designer, landscape architect, signage designer and other consultants. From the beginning of our relationship it was clear Les took great pride in his projects and paid close attention to each detail. Of particular note was his desire to make sure all building elements were properly scaled and that we used quality building materials. Les has equally concerned that the building "fit into its surroundings" and belong at the estate. In fact, Les said that if visitors thought the building had always been here, he would have done his job well. Since opening the Visitor Center in 2004, it has been favorably received by thousands of guests. In fact, the building is so beautiful it has become one of the most popular spots for wedding photographs in our area. I have no hesitation in recommending Cole and Cole Architects for your project and you can rest assured they will serve you well."